By Nina in Social Media. Updated on August 3, 2018 . You may be producing awesome video content and running a great YouTube channel, but if you don’t go an extra mile to promote it, gaining new subscribers becomes a challenge. Think of it as a funnel. To become your subscriber, one has to find your video via YouTube search or through a referral link, they would watch it, and then if they find it interesting enough, they would subscribe to your channel. However, it is natural for people to “fall out” at any step. Say, out of 10 people who have discovered your video, only 8 will choose to watch it, 6 will watch it till the end, and 3 of them will subscribe. 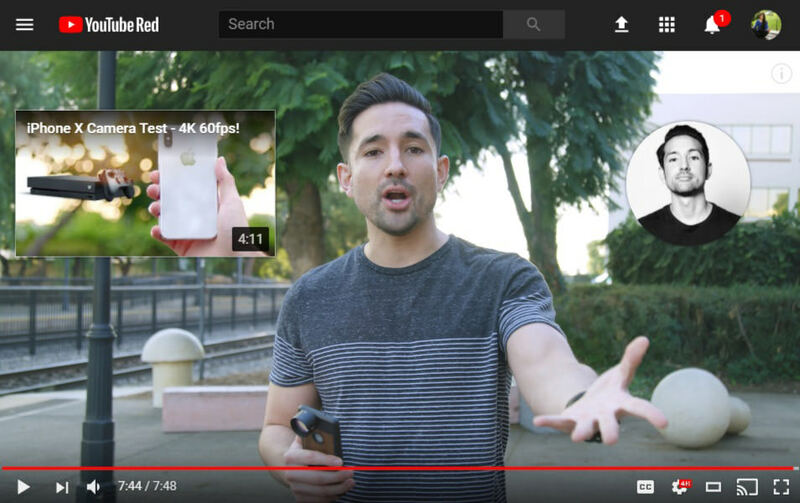 In this article, I’ve gathered best practices to help you drive more attention to your YouTube channel that too, at zero cost. Speaking the same language as your audience is crucial, and while you might want to get creative with titles, you should use the exact terms you want your video to appear to. YouTube search engine works similarly to Google, so be specific and use the keywords your prospect viewers would use. Unsure of your word choice or the topic? 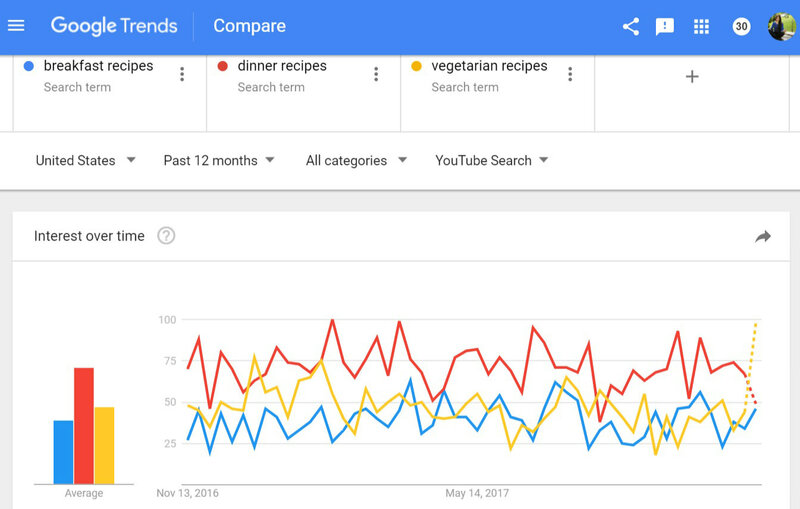 Go to Google Trends and type your ideas to compare the level of interest for each of them. Similarly, descriptions are believed to have little impact on optimization, yet, it doesn’t mean you should not care about them or simply use them to repeat your keywords. For instance, type “10 breakfast recipes” in YouTube search, and you’ll see dozens of videos with the same title. Chances are, your video will also end up surrounded by uploads on the same topic. In such a case, the first line of video description is the great way to stand out. Use it to explain how your video is different, and why it’s worth watching. Many newbie YouTubers believe thumbnails aren’t important because they have no influence on the search engine and will not help a video appear on the first page of YouTube. However, just like descriptions, thumbnails have a tremendous impact on your video click-through rate. In other words, it often depends on the thumbnail, whether a person chooses to watch one video over another. There are two unobvious benefits of creating playlists. First, along with thumbnails, playlists make your channel organized and easier to navigate. That means, viewers are likely to spend more time on it exploring the topic they are interested in. Second, playlists bring optimization value and help you appear in search results. Think of it this way – a title and a description of a playlist is an additional piece of information for YouTube algorithm to understand what your videos are about. Why would you miss an opportunity to repeat keywords and increase chances of getting discovered? Have you heard about the attention span of an average person today? It’s between 8 and 12 seconds, to be exact. For the video blogging industry that means if you don’t capture a viewer’s attention in those first seconds, consider him lost. To see how attention-grabbing your videos are, go to Creator Studio – Analytics – Audience retention. The graphic shows the percentage of audience dropping off as the video continues. In the graphic below, 40% of viewers lost their interest after a minute, and just a little over 20% watched the video till the end. The industry benchmark is 50%, which means the majority of videos are only watched halfway through. Yet, if you notice a large audience drop-off in the first 10 seconds or so, that means your introduction needs to be improved. Don’t waste time on a long intro or a vague talk. Brian Dean, an SEO and content marketing expert, recommends using a “PPP formula”, which stands for Preview, Proof, Preview. According to Brian, once you get someone watch the first 15 seconds of your video, chances are they will watch it till the end. To do that, use those precious seconds to tell the viewers what your video is about, explain why they should trust you, and add a short teaser or a sneak peek to spark the interest and motivate viewers to stay till the end. Resist the temptation of using special effects – they are often distracting. Play with minimalistic contoured text and smooth transitions instead. To stick to a zero-budget plan, check out free programs capable of non-linear video editing. Here is what every successful marketer knows: if you don’t ask, people won’t react. Remember about the attention span and the world of constant distractions we live in? This is exactly why call-to-action are needed. Even if someone enjoyed your video, there is a chance they would simply forget to give it a thumbs up or subscribe to your channel. So, it’s up to you to remind them. You’ve worked hard to create this video and provide value for the viewers, so there is no reason to be shy about asking for a little love in return. Annotations used to be a nice additional tool to get subscribers, but a personal request is always more efficient. Motivate viewers to become a part of your audience by saying what they should expect from your next videos, and what it is there for them. Annotations were discontinued in May however, you’ve already heard about end screen and cards. If you haven’t employed them for your channel yet, it’s about time, because the combination of cards and end screens is a five times more powerful and authentic way for keeping viewers engaged with your content. Best of all, they are mobile-friendly and work in YouTube app. The best practice here is to avoid video interruptions and screen clutter. Stick to a minimalistic approach and don’t link to more than two videos on the end screen. To make sure your end screen strategy is efficient, go to Creator Studio > Analytics > Interaction reports > End screens. You’ll be able to see how many clicks each end screen element gets versus how many times it is shown. Trolling aside, leaving a comment actually takes some time and dedication – be it YouTube or any other social network. Your responsiveness means you appreciate the effort and you care. Encourage discussions in your videos, ask questions, create polls (you can use Cards for that), and interact with every comment you receive. Besides, there is a nice bonus here: comments, along with the number of likes and subscriptions are signals to YouTube search engine that your video deserves attention. Yet, please don’t try to game the system by leaving meaningless comments just for the sake of quantity. It is miserable and likely to turn your prospect commentators away. Cross-promoting your content on various platforms is a tremendous way to get discovered by new audience. 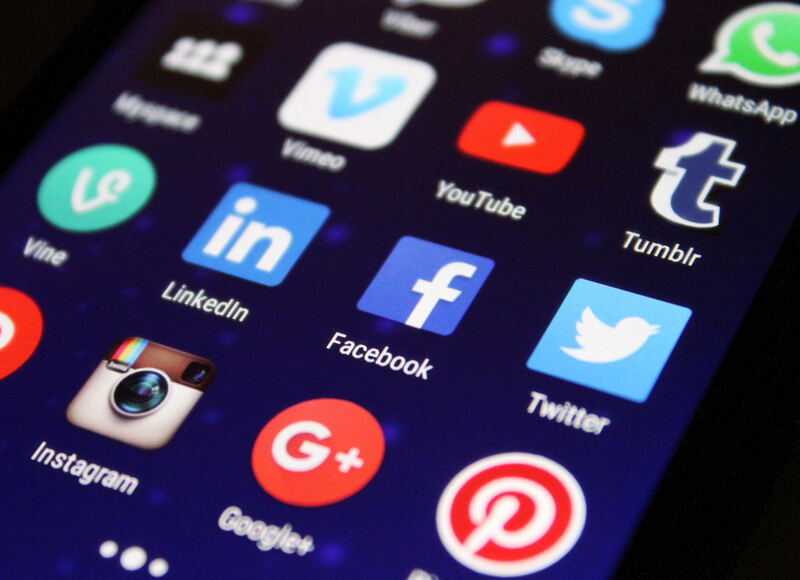 The truth is, you never know how your next subscriber will find your channel: clicking a referral link, browsing Twitter hashtags, or scrolling Facebook newsfeed. Therefore, being present on multiple platforms is beneficial for growing a community. Your promotion workflow may include embedding a video into a blog post, sharing it via Twitter, publishing on Facebook and Pinterest. It’s all about repurposing. If you want to sound authentic – craft your messages differently for each platform. It probably takes just extra 10 minutes, yet, pays off in the long run. To analyze how well your cross-promotion strategy is performing, go to Creator Studio > Analytics > Traffic sources > External. You’ll see the exact volume of traffic coming from websites linking to your videos, or having them embedded. Pro tip: If you have a Facebook page for your channel, you can experiment with promoting your posts for new audiences for as little as $5 to see if it works for you. Whether you are a drone video blogger, a makeup artist, a gamer, or a language teacher – there are forums and communities for every field. Start participating in your niche community. Your goal is to make sure people know what you’re working on, without being a spammer. Don’t just share links to your videos, but rather provide your opinion and advice, while having a link to your channel in your bio or signature. It’s important for YouTubers to collaborate because it’s a way to get exposed to a new audience, and a fun overall experience. Reach out to those YouTubers who can provide additional value for your audience. If you review smartphones, look for those reviewing apps or mobile accessories; if you talk about makeup trends, you might want to collaborate with fashionistas; DIY YouTubers can successfully collaborate with each other… you got the idea. You can even ask your subscribers what other channels they watch to get a better picture of what they are interested in. Promoting a YouTube channel is not an easy job, no matter how you put it. Moreover, you’ll have to find the combination of tactics that work better for you – and it’s always a trial and error path. Creativity and determination help a lot, and I hope some ideas described in this post – too. Let us know in comments, what your favorite zero-budget promotion tricks are!